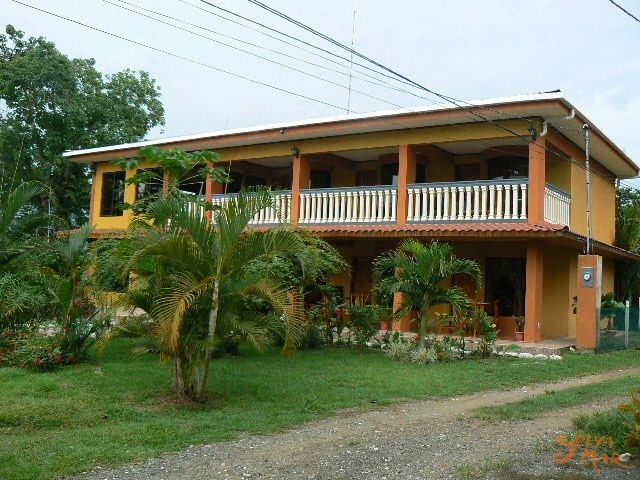 Arenas de Osa is a new lodge, near from of Puerto Jimenez. We offer bright clean rooms with cable-tv, A/C, fridge and bathroom.We have two new computers with internet for all our guests, free of charge. (southern Costa Rica) since 1968. In 1990 we got involved with tourism. We started with four cabins and taxi service to hotels and lodges in and around the Peninsula de Osa. 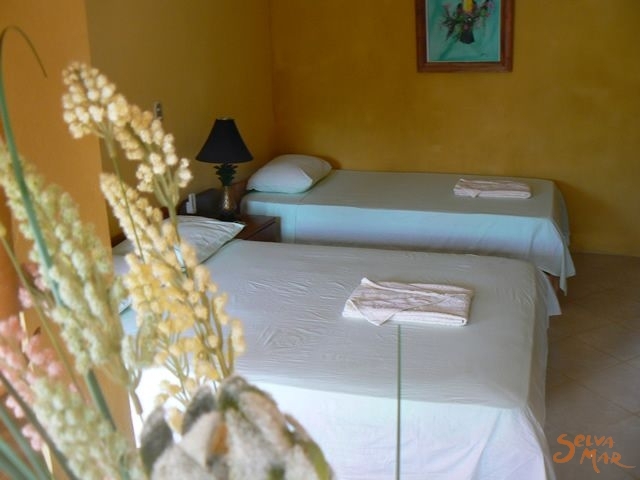 On 2006 we initiated the construction of our own lodge to offer Arenas de Osa’s clients nice, well-equipped rooms. 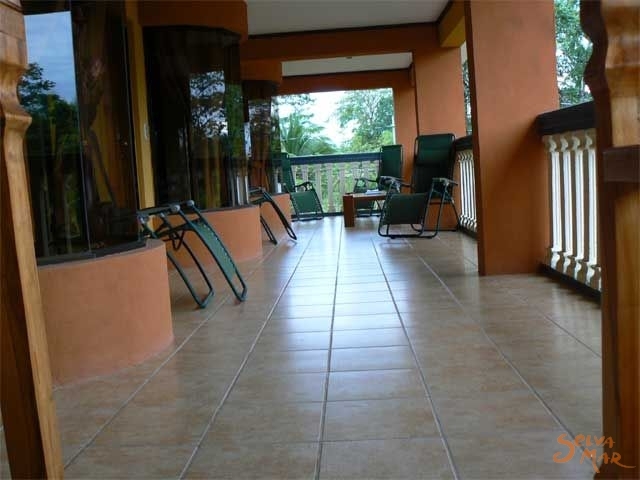 Arenas de Osa Lodge is an affordable eco-friendly beach hotel located on Costa Rica's Southern Pacific Coast in the Golfo Dulce, "the Sweet Gulf", in the Osa Peninsula. The Osa Peninsula is home to the world famous Corcovado National Park which has been described as one of the most biologically intense places in the world by the National Geographic Society. 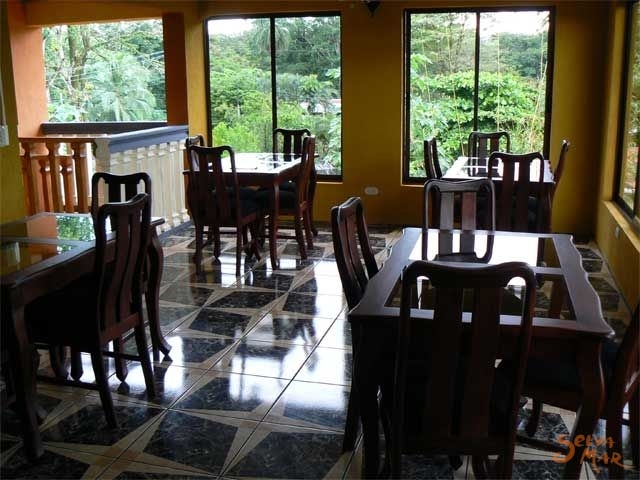 Arenas de Osa Lodge is located in the town of Puerto Jimenez directly on the way to Corcovado National Park. 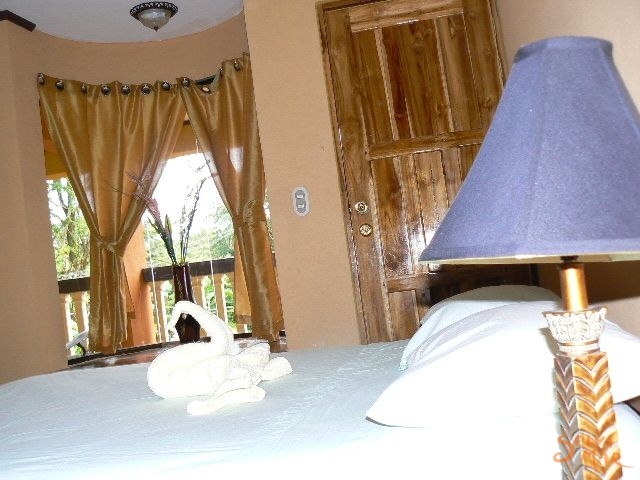 We are the only first-class beach hotel located in the town of Puerto Jimenez. Each room is beautiful and modern, with air-conditioning, and free internet access. 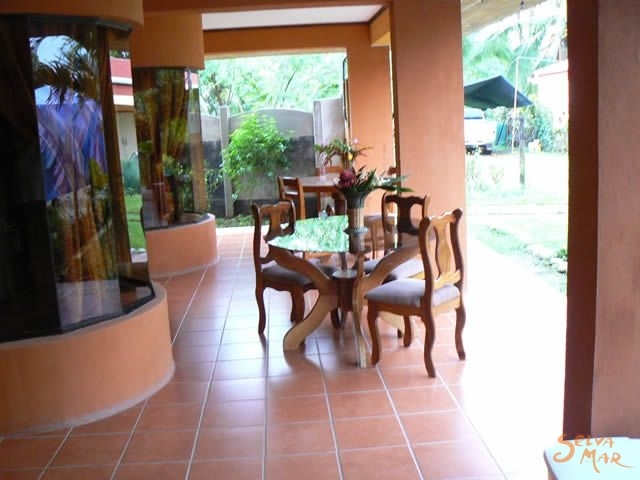 A continental breakfast is also included at Arenas de Osa Restaurant. Arenas de Osa, in Puerto Jimenez, is just steps away from beautiful beaches, and a few minutes walk from the small fishing town of Puerto Jimenez which was originally a gold mining town and has recently become the stepping off point for Costa Rica Eco-Tours in and around Corcovado National Park, as well as a gathering place for world-class sports fishing. Come and enjoy our comfortable rooms. English and Spanish are spoken and we will be happy to arrange tours and airport pickup for your convenience. 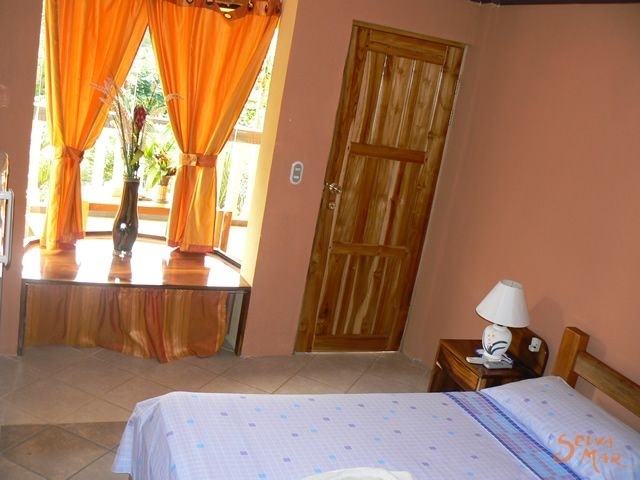 The rooms at Arenas de Osa are very nice and elegant. They are equiped with a big fridge that's filled with water, soda and local beers, which are not included in the price. There's a new 21" remote controlled CABLE-TV, silent AC system & hot water. We offer free internet service on two brand-new PC's in our "internet room" on the second floor of the building. We will give you a ride to the departure of the kayak tour, 10 minutes from the hotel? In the beginning of the tour we will kayak with our guide through the mangroves. Here we will have the opportunity to observe marine birds, scarlet macaws, parrots, toucans, monkeys, crocodiles, etc. Leaving the mangroves, we go out into the Golfo Dulce, where we might be able to watch dolphins and enjoy a beautiful sunset view. This tour is a gift from nature you will never forget. The traveling takes about 2 hours, before arriving to Carate, a small town with few inhabitants. From there you will start walking for 45 minutes until the entrance of the national park. Here you need to pay the entrance fee. 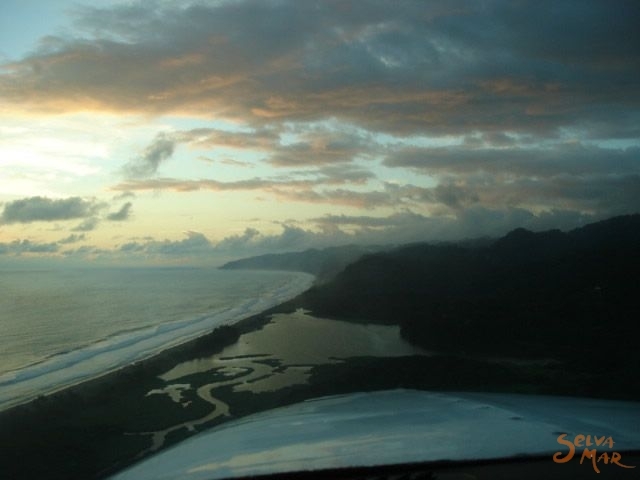 Once in Corcovado you can walk by beach and over trails nearby the ocean. A local guide will help you during this whole trip. This is a full day tour, leaving Puerto Jimenez at 6:00 AM and returning at 5:00 PM. There is a maximum capacity of 6 persons. This tour has duration of approximately 2-3 hours and takes you through primary and secondary rainforest. Part of the trip is nearby the Rio Nuevo river, where you can observe different local and migratory bird species and different butterflies and mammals as well. You will also have the opportunity to swim in its beautiful springs. We will take you from the hotel to the local airport. Departure is scheduled at 8:00 AM and the flight takes 12 minutes before arriving in Sirena, one of Corcovado?s park stations. Sirena is surrounded by a very diverse primary rainforest. You will explore the trails with your bilingual guide, trying to find endemic animals and birds like tapirs, jaguars, monkeys, pumas, etc. The scheduled arrival back in Puerto Jimenez is at 3:00 PM. The maximum capacity is 5 persons. The place where this all happens is Pan Dulce Beach in Matapalo which is about 45min from Puerto Jimenez by car. You will be guided by an expierenced, english speaking surfer, who has done this for more than 8 years now. You can take some lunch with you, or we can make reservations at one of the lodges in and around matapalo. This experience will not be able to forget. The Gulf is one of the sweet 4 tropical fjords in the world, is a place of calm waters very place where a large number of species of plants and animals to highlight the bottle-nose dolphins, spinner, and spotted the great whales ( which can be observed from August to November) sea turtles, rays, sharks and others. Start early in the morning leaving the wharf in Puerto Jimenez. 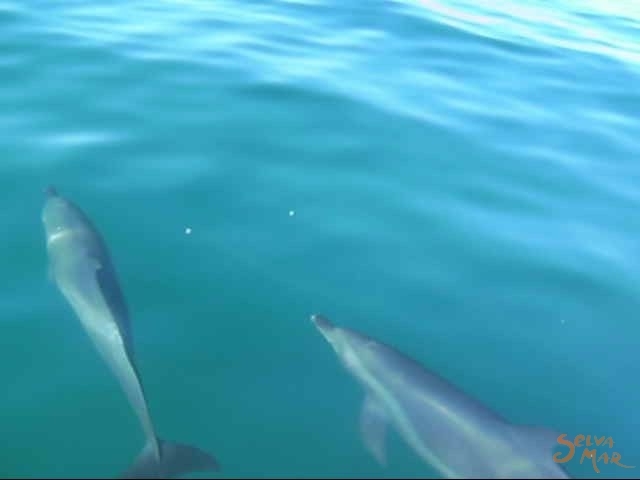 We moved a private boat in the Gulf sweet for a tour of 4 hours, in search of dolphins, over time you is you will have the opportunity to practice swimming and diving where you can see the reefs, small fish and other animals. 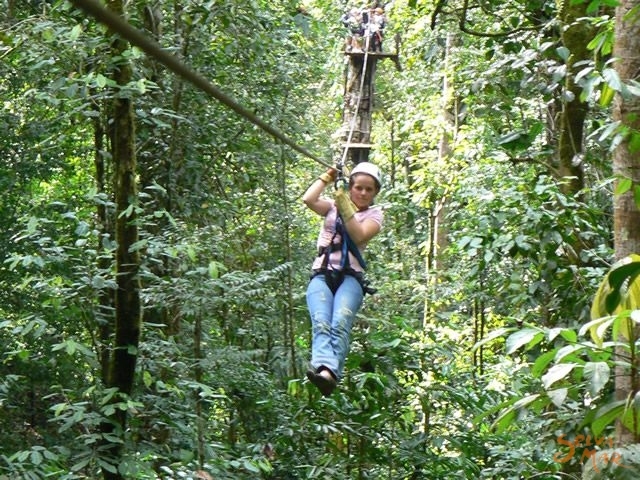 Enjoy the excitement of sliding on a wire through the glass of large trees, this is a journey to never forget and that has the most stringent safety standards with a properly trained staff, who accompany all over the tour for this will be a real mind pleasant experience.